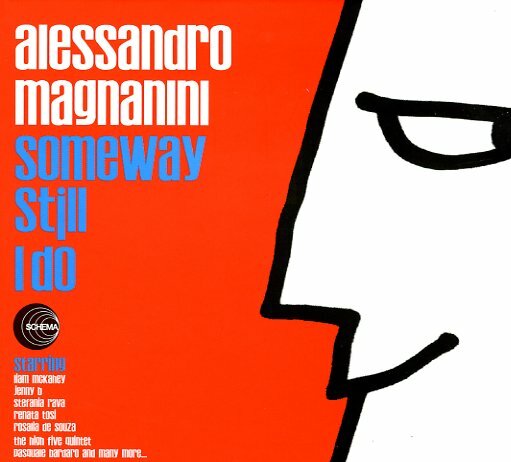 A real rising star on Schema Records – composer Alessandro Magnanini, best known for his hit with Mario Biondi – stepping out here in a beautiful album of his own original music! There's a fresh feel here that really opens up a new chapter at Schema – still a bit of their old jazz/bossa vibe, but with a more expansive quality too – one that embraces bits of Bacharach, snaps of 60s soundtracks, and gentler jazzier passages too – all put together by a group that features key talents from the contemporary Italian scene – like vocalists Rosalia De Souza and Stefania Rava, trumpeter Fabrizio Bosso, and other instrumentalists on vibes, piano, tenor, and trombone. Most instrumentation is live – scored nicely, but not enough so that it loses the spontaneity of jazz – and other vocals are by Jenny B and Liam McKahey. The work is really beautiful – still mostly upbeat, but hardly just the stuff of dancefloor grooving too – key proof that Maganini's a big talent to watch in years to come. Titles include "Livin My Life", "Open Up Your Eyes", "Stay Into My Life", "But Not For You", "Greetings From Here", "Something Fine", "Suddenly", "Blind Date Blues", and "So Long Goodbye". © 1996-2019, Dusty Groove, Inc.